To give heed to your constant call. A very meaningful way to journey through Advent is by finding time for reflection, creating prayerful moments in our days, moments of stillness, where we wish to direct our attention to God and allow Christ to enter our reality, to light our inner candles and bring light in areas of our lives where we most need it. But it might also be good and even Christ-like if we could find opportunities to step out of ourselves and encourage someone who we think needs light lit in their lives. When we can find balance between a reflective and active preparation for the coming of Christ at Christmas, our Advent journey becomes more wholesome. Take time to notice someone: a friend, a family member or a child who might benefit from your company, greet strangers with a smile, talk to a man or a woman who is homeless, clean your wardrobe and bring things you no longer use to a charity shop, visit an elderly person who might be lonely at this time, say a prayer for people that no one prays for or see what situation moves your heart and respond to it according to your means. Do not take these suggestions as a burden on yourself in what is most likely already a busy season for you. Rather know that in the moments in which we affirm another person’s dignity, moments when we encounter others heart to heart, we meet God in them as well. 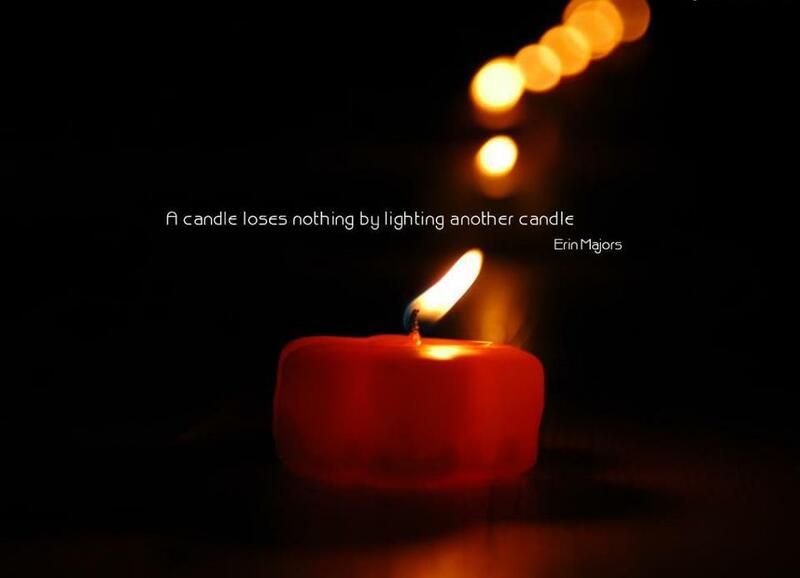 When we light someone else’s inner candle, our own inner light is relit too. In the song Be Thou my Vision there is a verse in which we sing, “Be Thou my dignity, be Thou my delight”. As we bring Christ’s light to each other, sometimes merely by our presence, let us be clothed in His light, robed in His dignity, aware of His delight, knowing that ‘together’ we journey through Advent, together we walk this walk of light.